According to Neil Daswani, CTO of Dasient which analyzed about 10,000 Android apps about 8% of them leak personal and private information about the user to either the programmer or a third-party server. Now if you remember, there was a previous study done in May by a German security firm which had then confirmed about 99% of Android apps leaking user info. This is a huge improvement in numbers, but still not perfect. The issue then was the platform’s communication system which involved tokens that leaked the information. However, the study done by Dasient looked at the purposeful behaviour of individual Android apps and not the OS. There is not much information as to what kind of data the apps are leaking; however the complete study results will be out soon. The study also found that 11 applications were sending SMS messages out to other smartphones, spamming other users without the Android owner’s knowledge and potentially costing the owner money in per-text charges. Now these security threats and leaks are more prevalent on Android because unlike the Apple App store which keeps a proper check; the Android Market is not rigorously controlled. 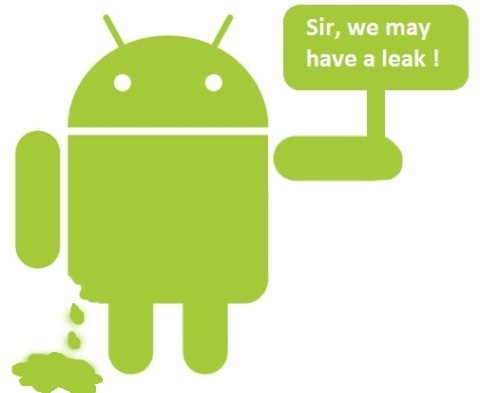 Control measures by Android can further reduce such data leaks and security threats.